Marc Raboy is Full Professor and Beaverbrook Chair in Ethics, Media and Communications in the Department of Art History and Communication Studies. A former journalist in a wide variety of media, educated at McGill, Professor Raboy taught previously at the Université de Montréal and Laval University. 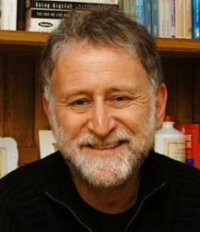 He is the author or editor of twenty-one books and more than one hundred journal articles or book chapters, as well as reports for such organizations as the World Bank, UNESCO, the Japan Broadcasting Corporation, the European Broadcasting Union, the Policy Research Secretariat of the Government of Canada, and the Quebec Ministry for Culture and Communication. He has been a senior research associate in the Programme on Comparative Media Law and Policy at the University of Oxford, and is a member of the international council of the International Association for Media and Communication Research (IAMCR), past president of the Canadian Communication Association, and member of several editorial boards. From 2001 to 2003 he served as expert advisor to the House of Commons Standing Committee on Canadian Heritage for its study of Canadian broadcasting. He is also a founding member of an international advocacy campaign for Communication Rights in the Information Society. Professor Raboy has taught courses on Canadian media institutions, communication policy, cultural development, and international communication. His current research looks at media and communication governance issues in light of increasing globalization. Libérer la communication: Médias et mouvements sociaux au Québec, 1960-1980. Montréal: Éditions Nouvelle optique, 1983. Movements and Messages: Media and Radical Politics in Quebec (Translation). Toronto: Between The Lines, 1984. (Editor) Old Passions New Visions: Social Movements and Political Activism in Quebec. Toronto: Between The Lines, 1986. (Editor, with Peter A. Bruck) Communication For and Against Democracy. Montreal: Black Rose Books, 1989. Missed Opportunities: The Story of Canada's Broadcasting Policy. Montreal & Kingston: McGill Queen's University Press, 1990. (Editor, with Bernard Dagenais) Media, Crisis and Democracy: Mass Communication and the Disruption of Social Order. London: Sage Publications, 1992. Les médias québécois: presse, radio, télévision, câblodistribution. Boucherville: Gaëtan Morin éditeur, 1992. (with Ivan Bernier, Florian Sauvageau and Dave Atkinson) Développement culturel et mondialisation de l'économie: un enjeu démocratique. Québec: Institut québécois de recherche sur la culture, 1994. Accès inégal: Les canaux d'influence en radiodiffusion. Sillery: Presses de l'Université du Québec, 1995. (Editor) Public Broadcasting for the Twenty-first Century. Luton (UK): John Libbey Media / University of Luton Press, 1996. Occasions ratées: Histoire de la politique canadienne de radiodiffusion (Translation). Montréal/Québec: Liber/Les Presses de l'Université Laval, 1996. Les médias québécois: presse, radio, télévision, inforoute (Second edition). Boucherville: Gaëtan Morin éditeur, 2000. (Editor) Global Media Policy in the New Millennium. Luton (UK): University of Luton Press, 2002. (Editor, with Monroe E. Price) Public Service Broadcasting in Transition: A Documentary Reader. The Hague: Kluwer Law International, 2003. (with Normand Landry) Civil Society, Communication and Global Governance: Issues from the World Summit on the Information Society. New York: Peter Lang Academic Publishing, 2005. (Editor, with Florian Sauvageau) The Role of the State in Broadcasting Governance / Le rôle de l'État dans la gouvernance de la radiodiffusion. Sainte-Foy : Centre d'études sur les médias, 2006 (in English and French). (with Steve Buckley, Kreszentia M. Duer, Toby Mendel, Sean O Siochru and Monroe E. Price) Broadcasting, Voice and Accountability: A Public Interest Approach to Policy, Law and Regulation. World Bank/University of Michigan Press, 2008. (with Jeremy Shtern, William J. McIver, Laura J. Murray, Sean O Siochru and Leslie Regan Shade) Media Divides: Communication Rights and the Right to Communicate in Canada. Vancouver: UBC Press, 2010. Digital Solidarities, Communication Policy and Multi-stakeholder Global Governance: The Legacy of the World Summit on the Information Society (with Normand Landry and Jeremy Shtern). New York: Peter Lang Academic Publishing, 2010. The Handbook of Global Media and Communication Policy (with Robin Mansell). Malden, MA: Wiley-Blackwell, 2011. Marconi: The Man Who Networked the World. New York: Oxford University Press, 2016. "Public Television, the National Question and the Preservation of the Canadian State". In Phillip Drummond and Richard Paterson, eds., Television in Transition. London: BFI Publishing, 1985: 64 86. "Canadian Broadcasting, Canadian Nationhood: Two Concepts, Two Solitudes and Great Expectations". In John Courtney, Peter MacKinnon and David E. Smith, eds., After Meech Lake. Saskatoon: Fifth House Press, 1991: 181-197. "Les nouvelles à la télévision et la crise de l'unité canadienne, 1963-1980". In Richard Lochead, ed., Beyond the Printed Word. Kingston: Quarry Press, 1991: 246-252. "L'économie politique des médias et le nouvel espace public de la communication". In Michel Beauchamp, ed., Communication publique et société. Boucherville: Gaëtan Morin, 1991: 183-213. "Communication and theNew World Order: Strategies for Democratization". In Nancy Thede and Alain Ambrosi, eds., Video the Changing World. Montreal: Black Rose Books, 1991: 160-175. "Canadian Broadcasting, Canadian Nationhood: Two Concepts, Two Solitudes and Great Expectations". In Helen Holmes and David Taras, eds., Seeing Ourselves: Media Power and Policy in Canada. Toronto: HBJ-Holt Canada, 1992: 156-173. "Media and the Politics of Crisis" (with Bernard Dagenais). In Marc Raboy and Bernard Dagenais, eds., Media, Crisis and Democracy: Mass Communication and the Disruption of Social Order. London: Sage Publications, 1992: 1-15. "Media and the Invisible Crisis of Everyday Life". In Marc Raboy and Bernard Dagenais, eds., Media, Crisis and Democracy: Mass Communication and the Disruption of Social Order. London: Sage Publications, 1992: 133-143. "The Media in Quebec". In Alain-G. Gagnon, ed., Quebec: State and Society Revisited. Toronto: Nelson Canada, 1993: 158-172. "The Public Service Basis of Canadian Broadcasting". In Robert K. Avery, ed., Public Service Broadcasting in the Multi-Channel Environment. New York: Longman, 1993: 147-167. "Legal, institutional and research perspectives on broadcast program quality in Canada." In Sakae Ishikawa, ed., Quality of Assessment of Television. Luton (UK): John Libbey Media/University of Luton Press, 1996: 49-72. "Public Television." In Michael Dorland, ed., The Cultural Industries in Canada. Toronto: James Lorimer, 1996: 178-199. "The World Situation of Public Service Broadcasting: Overview and Analysis". In Public Service Broadcasting: Cultural and Educational Dimensions. Paris: UNESCO, 1997: 19-56. (also published in French and in Arabic). "Cultural Sovereignty, Public Participation and Democratization of the Public Sphere: The Canadian Debate on the New Information Infrastructure." In Brian Kahin and Ernest J. Wilson, eds., National Information Infrastructure Initiatives: Vision and Policy Design. Cambridge: MIT Press, 1997: 190-216. "Global Communication Policy and the Realization of Human Rights. "In Roger G. Noll et Monroe E. Price, eds., A Communications Cornucopia: Markle Foundation Essays on Information Policy. Washington: Brookings Institution Press, 1998: 218-242. "Le public fantôme: un acteur équivoque qui hante les débats sur les médias". In Serge Proulx, ed., Accusé de réception: le téléspectateur construit par les sciences sociales. Québec: Presses de l'Université Laval, 1998: 95-120. "Pas de deux: Media Policy and Cultural Politics in Canada and Quebec." In Joel Smith, ed., Media Policy, National Identity and Citizenry in Changing Democratic Societies: The Case of Canada. Durham: Canadian Studies Center, Duke University, 1998: 90-103. "Television in Canada". In Anthony Smith, ed., Television: An International History, second edition. Oxford: Oxford University Press, 1998: 162-168. "Communication Policy and Globalization as a Social Project." In Andrew Calabrese and Jean-Claude Burgelman, eds., Communication, Citizenship, and Social Policy: Re-thinking the Limits of the Welfare State. Totowa (NJ): Rowman and Littlefield, 1999: 293-310. "Une régulation démocratique problématique." In Serge Proulx and André Vitalis, eds., Vers une citoyenneté simulée: Médias, réseaux et mondialisation. Paris: Apogée, 1999: 57-69. "'L'Étatou les États-Unis': l'influence américaine sur le développement d'un modèle canadien de radiodiffusion." In Florian Sauvageau, ed., Variations sur l'influence culturelle américaine. Sainte-Foy: Presses de l'Université Laval, 1999: 3-15. "Cultural Policy in the Knowledge Society. "In Liss Jeffrey, ed., Vital Links for a Knowledge Culture: Public access to new information and communications technologies. Strasbourg: Council of Europe, 2001: 141-158. "Communication and Globalization: A Challenge for Public Policy." In Janice Gross Stein and David Cameron, eds., Street Protests and Fantasy Parks: Globalization, Culture, and the State. Vancouver: UBC Press, 2002: 109-140. "La réglementation de la radiodiffusion en 2002 : problématique, contexte et pistes d'avenir pour le Canada." In Marc Raboy, ed., L'avenir de la réglementation de la radiodiffusion. Quebec City: Centre d'études sur les médias, 2003 : . "Rethinking Broadcasting Policy in a Global Media Environment." In Taisto Hujanen and Gregory Ferrell Lowe, eds., Broadcasting and Convergence: Re-articulating the Remit. Göteborg: Nordicom, 2003: 41-56. "Entre politiques et usages: les téléspectateurs jugent la télévision" (with Serge Proulx). In Didier Courbet & Marie-Pierre Fourquet, eds., La télévision et ses influences. Paris: De Boeck, 2003. "Media and Democratization in the Information Society". In Sean O Siochru and Bruce Girard, eds., Communicating in the Information Society. Geneva: United Nations Research Institute for Social Development, 2003: 103-121. "Globalisation and Regulation." In John Sinclair, ed., Contemporary World Television. London: British Film Institute, 2004. (with David Taras) "The Trial by Fire of the Canadian Broadcasting Corporation: Lessons for Public Broadcasting". In Gregory Farrel Lowe and Per Jauert, eds., Public Service Broadcasting and the Cultural Commons. Göteborg: Nordicom, 2005. (with Thierry Vedel) "La régulation des communications à l'ère numérique". In Bernard Conein, Françoise Massit-Folléa and Serge Proulx, eds, Internet : Une utopie limitée. Nouvelles régulations, nouvelles solidarités. Québec : Presses de l'Université Laval, 2005. (with Thomas Gobeil) "La réglementation des médias traditionnels sur Internet. La Loi canadienne sur le droit d'auteur". In Bernard Conein, Françoise Massit-Folléa and Serge Proulx, eds, Internet : Une utopie limitée. Nouvelles régulations, nouvelles solidarités, Québec : Presses de l'Université Laval, 2005. "WSIS and the future of global governance". In Daniel Stauffacher and Wolfgang Kleinwächter, eds., The World Summit on the Information Society: Moving from the Past into the Future. New York: United Nations ICT Task Force, 2005. (with Marcelo Solervincens) "Media". In Alain Ambrosi, Valérie Peugeot and Daniel Pimienta, eds., Word Matters. Multicultural Perspectives on Information Societies. Paris: C&F Editions, 2005. (Also published in French, Spanish and Portuguese). (with Jeremy Shtern) "The Internet as a Global Public Good. Towards a Canadian Position on Internet Governance for Phase II of WSIS". In Paving the Road to Tunis - WSIS II. Ottawa: Canadian Commission for Unesco, 2005: 126-132. "Communication Politics in the 21st Century." In Petra Ahrweiler and Barbara Thomass, eds., Internationale partizipatorische Kommunikationspolitik. Strukturen und Visionen, Münster: LIT Verlag, 2005: 35-50. Second edition, LIT Verlag, 2007. (with David Taras) "On Life Support: The CBC and the Future of Public Broadcasting in Canada". In David Taras, Maria Bakardjieva and Frits Pannekoek, eds., How Canadians Communicate II. Media, Globalization and Identity. Calgary: University of Calgary Press, 2007, 83-103. (with David Taras) "Canada". In Leen d'Haenens and Frieda Saeys, eds., Western Broadcast Models: Structure, Conduct and Performance. Berlin/New York: Mouton De Gruyter, 2007. (with Aysha Mawani) "International Communication Agencies". In Wolfgang Donsbach, ed., International Encyclopedia of Communication. Malden (MA): Wiley-Blackwell, 2008, 78-83. (with Geneviève Bonin) "From Culture to Commerce to Culture: Shifting Winds at the CRTC". In Marita Moll and Leslie Regan Shade, eds., For Sale to the Highest Bidder: Telecom Policy in Canada. Ottawa: Canadian Centre for Policy Alternatives, 2008, 61-69. “Foundations of the Theory and Practice of Global Media and Communication Policy” (with Robin Mansell). In Robin E. Mansell and Marc Raboy, eds., The Handbook of Global Media and Communication Policy. Malden, MA: Wiley-Blackwell, 2011, 1-20. “Are States Still Important? Reflections on the Nexus Between National and Global Media and Communication Policy” (with Aysha Mawani). In Monroe Price, Stefaan Verhulst and Libby Morgan, eds., Routledge Handbook of Media Law. New York: Routledge, 2012, 343-360. “The Least Imperfect Form of Global Governance Yet? Civil Society and Multi-Stakeholder Governance of Communication” (with Jeremy Shtern and Normand Landry). In Divina Frau-Meigs et al, eds., From NWICO to WSIS: 30 Years of Communication Geopolitics. Bristol, UK: Intellect Ltd., 2012, 187-197. “Journalism: Where To From Here?” (with Florian Sauvageau) In Mike Gasher, Colette Brin, Christine Crowther, Gretchen King, Errol Salamon & Simon Thibault, eds. Journalism in Crisis: Bridging Theory and Practice for Democratic Media Strategies in Canada. Toronto: University of Toronto Press, 2016, xi-xix. "Media and Politics in Socialist France". Media, Culture and Society, vol. 5, no. 3-4, (July-October) 1983, pp. 303-320. "The Media in Quebec: Towards Teaching Critical Media Practice". Canadian Journal of Communication, vol. 11, no. 1, (Winter) 1985, pp. 87-96. "Canada's Broadcasting Policy Debate". Canadian Issues/Thèmes canadiens, vol. 10, no. 6, 1988, pp. 41-54. "Two Steps Forward, Three Steps Back: Canadian Broadcasting Policy from Caplan Sauvageau to Bill C 136". Canadian Journal of Communication, vol. 14, no. 1, 1989, pp. 70-75. "Journalism in Quebec" (Guest editor's introduction to theme issue). Canadian Journal of Communication, vol. 14, no. 2, 1989, pp. v-viii. "From Cultural Diversity to Social Equality: The Democratic Trials of Canadian Broadcasting". Studies of Broadcasting, vol. 26, 1990, pp. 7-41. (Also published in Japanese). Le rôle des acteurs dans l'élaboration de la politique canadienne de la radiodiffusion". Communication / Information, vol. 11, no. 2, (Fall) 1990, pp. 251-271. "Legal, Institutional and Research Perspectives on Broadcast Program Quality in Canada". Studies of Broadcasting, vol. 27, 1991, pp. 81-111. "Canadian Broadcasting, Canadian Nationhood: Two Concepts, Two Solitudes and Great Expectations". The Electronic Journal of Communication, vol. 2, no. 1, 1991, pp. 6-26. "Lack of Bucks Riles Canucks: Public Broadcasting Taking the Heat in Canada". Screen, vol. 32, no. 4, 1991, pp. 429-434. "Balance is in the Eye of the Beholder". Canadian Journal of Communication, vol. 17, no. 1, 1992, pp. 117-121. "Crise des médias, crises de société: les femmes, les hommes et l'École polytechnique de Montréal". Communication, vol. 14, no. 1, 1993, pp. 83-105. "Towards a New Ethical Environment for Public Service Broadcasting". Studies of Broadcasting, vol. 29, 1993, pp. 7-35. "Développement culturel et économie ouverte: un enjeu démocratique, une perspective canadienne" (with Ivan Bernier, Florian Sauvageau and Dave Atkinson). Communications etstratégies, vol. 12, no. 4, 1993, pp. 85-120. "Cultural Development and the Open Economy: A Democratic Issue and a Challenge to Public Policy" (with Ivan Bernier, Florian Sauvageau and Dave Atkinson). Canadian Journal of Communication, vol. 19, no. 3/4, 1994, pp. 291-315. "Diversity in Television Programming: Comparative Analysis of Five Countries" (with Sakae Ishikawa, Timothy Leggatt, Barry Litman, Karl Erik Rosengren and Naoyuki Kambara). Studies of Broadcasting, vol. 30, 1994, pp. 155-170. "The Role of the Public in Broadcasting Policymaking and Regulation: Lesson for Europe from Canada." European Journal of Communication, vol. 9, no. 1, 1994, pp. 5-23. "Broadcasting Policy, Nationbuilding and Constitutional Politics in Canada and Quebec". Quebec Studies, vol. 18, 1994, pp. 63-74. "Access to Policy, Policies of Access". Javnost/The Public, vol. 2, no. 4, 1995, pp. 51-61. "The Role of Public Consultation in Shaping the Canadian Broadcasting System". Canadian Journal of Political Science, vol. 28, no. 3, 1995, pp. 455-477. "Influencing Public Policy on Canadian Broadcasting". Canadian Public Administration vol. 38, no. 3, 1995, pp. 411-432. "Cultural Sovereignty, Public Participation and Democratization of the Public Sphere: The Canadian Debate on the New Information Infrastructure." Communications etstratégies, vol. 21, 1996, pp. 51-76. "Repositioning Public Broadcasting:Canada's CBC." Media International Australia, vol. 83, 1997, pp. 31-37. "Media, Nationalism and Identity in Canada and Quebec". ResPublica (Belgian Journal of Political Science), vol. 39, no. 2, 1997, pp. 315-323. "La 'Global Information Infrastructure' (GII): Un projet impérial pour l'ère de la mondialisation." Communications etstratégies, vol. 25, 1997, pp. 15-32. "Public Broadcasting and the Global Framework of Media Democratization." Gazette, vol. 60, no. 2, 1998, pp. 167-180. "Grasping an Enigma - Cultural Policy and Social Demand" (with Bram Dov Abramson). International Journal of Cultural Policy, vol. 4, no. 2, 1998, pp. 329-355. "Global Communication Policy and the Realization of Human Rights." Journal of International Communication, vol. 5, no. 1-2, 1998, pp. 83-104. "Challenges for the Global Regulation of Communication." Javnost/The Public, vol. 5, no. 4, 1998, pp. 65-71. "Policy Globalization and the 'Information Society': A View from Canada" (with Bram Dov Abramson). Telecommunications Policy, vol. 23, no. 10/11, 1999, pp. 775-791. "Media Policy, Audiences and Social Demand: Research at the Interface of Policy Studies and Audience Studies" (with Bram Abramson, Serge Proulx and Roxanne Welters). Television and New Media, vol. 2, no. 2, 2001, pp. 95-115. "The Dilemma of Social Demand: Shaping Media Policy in New Civic Contexts" (with Serge Proulx and Peter Dahlgren). Gazette, vol. 65, no. 4-5, 2003. "Viewers on Television: Between Policy and Uses" (with Serge Proulx). Gazette, 65, 4-5, 2003. "Transparency and Accountability in Canadian Media Policy" (with David Taras). Communications: The European Journal of Communication Research, vol. 29, 2004, pp. 59-76. "The World Summit on the Information Society and its Legacy for Global Governance." Gazette, vol. 66, no. 3-4, 2004. "The WSIS as a Political Space in Global Media Governance." Continuum: Journal of Media and Cultural Studies, vol. 18, no. 3, 2004, pp. 347-361. "The Origins of Civil Society Involvement in the WSIS." Information Technologies and International Development, 2004. "The 2005 Graham Spry Lecture. Making Media. Creating the Conditions for Communication in the Public Good." Canadian Journal of Communication, vol. 31, no. 2, 2006, pp. 1-18. "Façonner les médias. Créer les conditions favorables à la communication pour le bien commun." Communication, vol. 25, no. 1, 2006, pp. 137-158. "Global Media Policy: Defining the Field". Global Media and Communication, vol. 3, no. 3, pp. 343-347, 2007. "Dreaming in Technicolor. The Future of PSB in a World Without Broadcasting". Convergence: The International Journal of Research into New Media Technologies, vol. 14, no. 3, pp. 355-359, 2008. “Mapping Global Media Policy: Concepts, Frameworks, Methods” (with Claudia Padovani). Journal of Communication, Culture & Critique, vol. 3, no. 2, 2010, pp. 150-169. "Journalism in Quebec". Theme issue of The Canadian Journal of Communication, vol. 14, no. 2, May 1989, edited by Marc Raboy. "Quality in Broadcast Programming: Canadian Perspectives". Report to the NHK (Japan Broadcasting Corp.), March 1991, 171 pp. "Médiaset crise". Theme issue of Communication, vol. 14, no. 1, 1993. Edited by Bernard Dagenais and Marc Raboy. "The World Situation of Public Service Broadcasting: Overview and Analysis". Report to UNESCO, May 1995, 25 pp. "The Cultural Policy of Broadcasting in Canada". Report to the European Institute for the Media (with Bram Abramson), August 1996, 35 pp. "Multiculturalism in Canadian Broadcasting". Report to the European Broadcasting Union, September 1997, 12 pp. 'Public Service Broadcasting: The Challenge of the Twenty-First Century" (ed. with Dave Atkinson). Reports and Papers on Mass Communication 111. Paris: UNESCO Publishing, 1997, 157 pp. (also published in French, Spanish and Russian). "Global Media Policy: A Symposium on Issues and Strategies." Theme issue of Javnost/ The Public (vol. 5, no 4, 1998, pp. 63-105), edited by Marc Raboy. "Communication and Globalization: A Challenge for Public Policy". Report prepared for the "Project on Trends", Policy Research Secretariat, Ottawa, September 1999, 34 pp. "Les mesures visant à assurer la liberté de la presse et la diversité de l'information dans dix pays industrialisés ainsi qu'au sein de l'Union européenne" (with Geneviève Grimard). Study prepared for the Fédération nationale des communications, January 2001, 104 pp. "Public Service Broadcasting in Transition: A Documentary Reader" (with Monroe E. Price). Report prepared for the European Institute for the Media, September 2001, 141 pp. "L'avenir de la réglementation de la radiodiffusion". Report prepared for le Centre d'études sur les médias, on behalf of the Department of Canadian Heritage, October 2002 (Published by le Centre d'études sur les médias,Quebec City, in March 2003). "Les réalisations du CRTC depuis 1991" (with Gérard Malo). Report prepared for le Centre d'études sur les médias, on behalf of the Department of Canadian Heritage, October 2002. "Media Policy and Social Demand : A Transnational Perspective." Theme issue of Gazette: The Journal for International Communication, vol. 65, no. 4-5, 2003. Edited by Marc Raboy, Serge Proulx and Peter Dahlgren. "La communication au cœur de la gouvernance globale". Enjeux et perspectives de la société civile au Sommet mondial sur la société de l'information (with Normand Landry). Report published on-line at www.lrpc.umontreal.ca/smsirapport.pdf [.pdf], May 2004, 250 pp + appendices. "Report on the Matter of Broadcasting Regulation". In the case of Genex Communications inc. v. the Attorney General of Canada and the Canadian Radio-Television and Telecommunications Commission (CRTC). Federal Court of Appeal no. A-464-04. Prepared for the Department of Justice, Ottawa, 11 October 2004. "Militer pour les droits à la communication: la campagne CRIS 2001-2003" (with Normand Landry). Montreal, Beaverbrook Chair in Ethics, Media and Communications, November 2004. "Media Governance" (with Catherine Murray, Florian Sauvageau and David Taras). 25-minute Video. Montreal, Beaverbrook Chair in Ethics, Media and Communications and Vancouver, Simon Fraser University Media Lab, 29 January 2005. "Media Regulation in Canada" (with Bram Dov Abramson). A Report prepared for the Institute of European Media Law (EMR), Saarbrücken, and the Hans-Bredow-Institute (HBI), Hamburg, Study on co-regulatory measures in the media sector, Montreal, April 2005. "Co-operative Regulatory Systems in Canada" (with Bram Dov Abramson). Report prepared for the Institute of European Media Law (EMR), Saarbrücken, and the Hans-Bredow-Institute (HBI), Hamburg, Study on co-regulatory measures in the media sector, Montreal, January 2006, 25 pp. "La réforme de l'audiovisuel au Maroc" (with Jawad Amahmoul). Report prepared for the World Bank, Rabat, February 2006, 78 pp. Co-editor (with Florian Sauvageau) of a six-article series entitled "Steering the Media" ("Quel avenir pour la télé?") which appeared in The Toronto Star (4 November 2006) and La Presse (21 November 2006). "Media pluralism and the promotion of cultural diversity". A background paper for UNESCO's World Report on Cultural Diversity, Paris, December 2007, 12 pp. Co-editor (with Florian Sauvageau) of a special section of Le Devoir on “Le journal indépendant: vue de l’esprit ou phare de la démocratie?”. March 10, 2010. Brief to the Senate Committee on Transportation and Communication regarding its inquiry into the future of the Canadian Broadcasting Corporation, November 2014.